Sun., March 31, 2019, 10:54 p.m.
ROME – Just three years ago, in country after European country, populist politicians were drawing up plans to follow Britain out the door. The French nationalist party leader spoke of a so-called Frexit. The Dutch far-right leader wanted a vote on Nexit. Some politicians predicted a secessionist contagion. Might there be a Swexit? A Czech-out? An Italeave? “Now it’s our turn,” the leader of Italy’s ascendant far right, Matteo Salvini, said at the time about exiting the European Union. But the 2016 Brexit vote has spawned no copycats. Nor did it lead to the breakup of the European Union. Even the most ardent Brussels-bashing politicians have concluded it’s better to stick with the bloc than endure a messy, years-long divorce. On Friday, the day Britain was supposed to leave the EU and “take back control,” the British Parliament was still fighting over how and whether to leave. Lawmakers rejected, for the third time, the withdrawal deal negotiated between Prime Minister Theresa May and EU leaders. The pound fell on fears that Britain will abruptly crash out of the bloc on April 12, with massive disruptions to trade and travel. Even if Britain manages an orderly departure, forecasts predict that Brexit could dampen economic growth for years. And the political and social divisions between “leavers” and “remainers” may persist. Watching all this, the continent’s influential Euroskeptic parties – from Scandinavia to the Mediterranean – have quietly recast their message. They’ve dropped calls to leave the EU and are instead advocating for the less drastic approach of changing the bloc from within. The European political scene has scarcely a party remaining advocating for a Brexit-style departure. 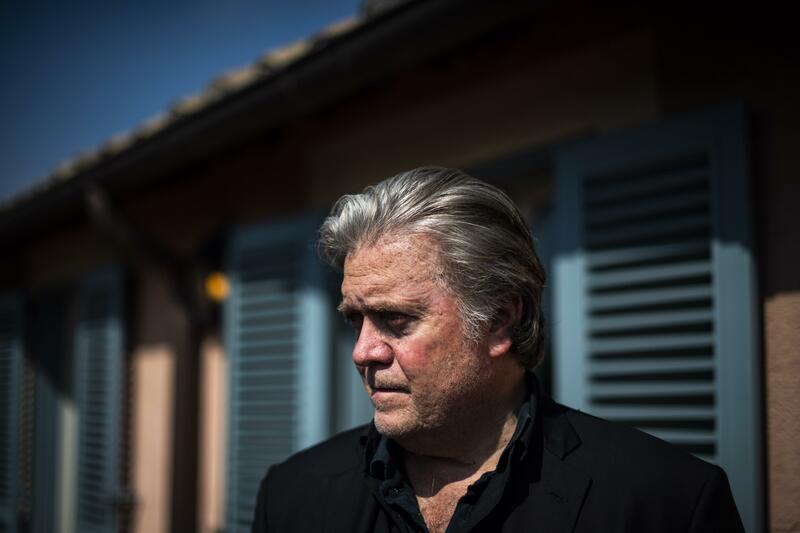 “There has been a shift, definitely a shift,” Steve Bannon, a former Trump White House chief strategist who consults with nationalist parties in Europe, said in an interview. “The agony of Britain in the last two years has clearly been a subtext for, let’s try to make this thing work” within Europe. The shift doesn’t mean the EU has averted turmoil, nor that Europe’s political insurgents are happy with the status quo. Europe’s class of populists and nationalists – a mix of ruling parties and clamorous outside voices on both the left and right – remain buoyed by discontent over low economic growth, migration and perceived imperiousness of EU elites. Those populists want to decentralize power within the European Union and are hoping to use European parliamentary elections in May to expand their influence and carry out their ideas. But even as Europeans find reason to grumble about the bloc, voters don’t seem to have the appetite for an irrevocable split, and in fact some have grown fonder of the European Union. The EU’s approval rating increased sharply in 2017, as Britain began to debate the terms of its exit. A new Pew Research Center survey of 10 European nations shows that 62 percent of people hold a favorable view of the EU. A separate poll from last year showed that 67 percent of Europeans believed their country benefited from EU membership – the highest figure in 35 years. From Hungary to Sweden, Germany to Italy, Euroskeptic politicians are now trying to figure out just how much of a mandate they might have to upend Europe’s norms. It’s not as clear a calculus as it had been. The reasons to stick with Europe go beyond a distaste for Brexit redux. A significant number of Europeans, even those who support euroskeptic parties, appreciate the freedom of movement allowed by EU rules and the ability to live in other countries. They also like the outsized influence of the unified bloc, which makes it easier for countries to contend with China and the United States. For now, some parties have simply dropped exit-the-EU plans from their platforms. Others have made concessions or adapted after political setbacks. In Austria, the Freedom Party abandoned calls for a euro referendum before joining another party in a coalition government. In France, nationalist leader Marine Le Pen called in her 2017 campaign for a referendum on eurozone membership and badly lost an election to Emmanuel Macron. Now, she speaks instead of a “Europe of nations” that works better for its members. And in the Netherlands, when the face of the anti-immigration far right – Geert Wilders – said in a televised debate that a “Nexit” would be the best thing that could happen to the country, the incumbent prime minister accused him of scaremongering. “You want to push the Netherlands into chaos too,” like in Britain, Prime Minister Mark Rutte said. Wilders’ party fared worse than expected in Dutch elections. But it is in Italy where the evolution of the populist message on Europe is perhaps most stark. The country’s government is composed of two Euroskeptic parties that cheered Britain’s Brexit vote when it happened. Now, those parties say it would be inconceivable to follow suit. Both Salvini’s far-right League and the more politically amorphous Five Star Movement used to be more vocally hostile to the EU. They railed at fellow member states for having abandoned Italy in its efforts to deal with migration while saddling it with unhelpful economic rules. Salvini held rallies wearing T-shirts that read, “Enough with the Euro.” The Five Star Movement, too, had long called for a referendum on Italy’s euro membership. For a time, it maintained a parliamentary alliance with UK Independence Party, whose one-time leader, Nigel Farage, was a driving force behind the Brexit campaign. But Italian politicians say both parties have changed tactics – in part as a result of having to govern but also because of a changing mood. Salvini no longer uses the hashtag #bastaeuro. Major Five Star members no longer re-tweet calls for euro referendums. Borghi – a League hard-liner who remains vocally opposed to the EU – recently said Italy should consider leaving the bloc if things don’t radically change; Salvini later that day said he had no plans to leave or “abandon” Europe. As messy as Brexit has been, the exit process could be even more turbulent for a eurozone nation that would have to contend with not only customs and border headaches, but also the introduction of a new currency – or the return to an old one. An Italian research group, the Carlo Cattaneo Institute, tracked Five Star votes in the European parliament and found the Movement in some ways resembled the voting patterns of a traditional Green party – left-leaning and somewhat pro-European. Analysts say that insurgent parties across Europe hope to curtail EU power over budget-making and bring their own hard-line migration ideas to Brussels. But the elections are a referendum on the strength of the union – not on whether the union should exist. Published: March 31, 2019, 10:54 p.m.